Gillette's toxic masculinity ad is good. Gillette's toxic masculinity ad is good for people. The ad sparks a conversation. Increasing awareness of the concept of toxic masculinity can help men to see negative behavior in themselves and others and contribute to positive change. harm boys can do when people allow bad behaviour because "boys will be boys". backlash against Gilette shows that the campaign has touched a nerve in society, which indicates the time might be right for a change. We all need public examples of positive behavior. This ad provides that. The ad is not aggressive. It encourages men to stand up for what is right. Portrayal of the media's role in sexual harassment appears inaccurate, such as a scene of a father in a sitcom making a grabbing motion at the hind quarters of a maid as an audience laughs. Such scenes don't regularly occur, if ever, in popular modern American media. This ad tackles toxic masculinity in such a superficial and simplistic way that the only result it achieved is creating a controversy that will only give Gillette more media coverage while not contributing to the discussion in any meaningful way. The ad perpetuates the practice of companies endorsing political, ethical, or moral perspectives which overpowers the ability of individual people to do the same. People view the ad as bad. The ad comes across as patronizing, especially coming from a large company. People, particularly men in this case, are unlikely to respond positively to such patronization nor is it good for them. 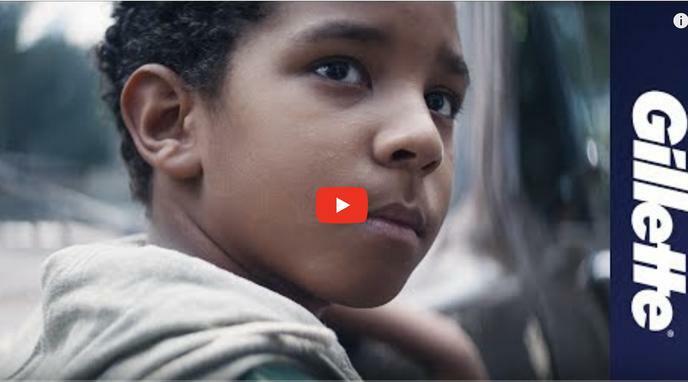 The ad assumes negative behaviors featured in the video are an endemic social problem.